How many times has a secluded dinner party led to murder? 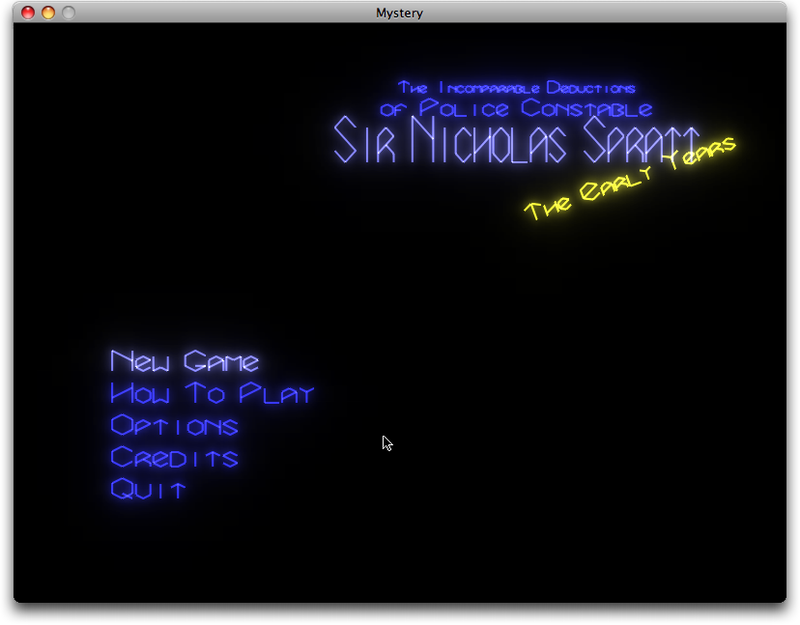 In The Incomparable Deductions of Police Constable Sir Nicholas Spratt — The Early Years, it’s every time. 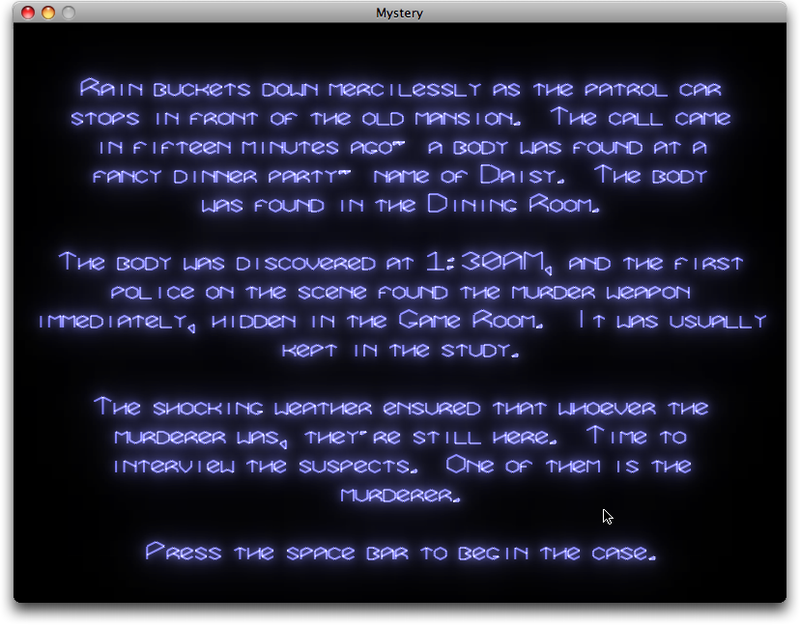 Each time you play, a new murder mystery is generated for you to solve. 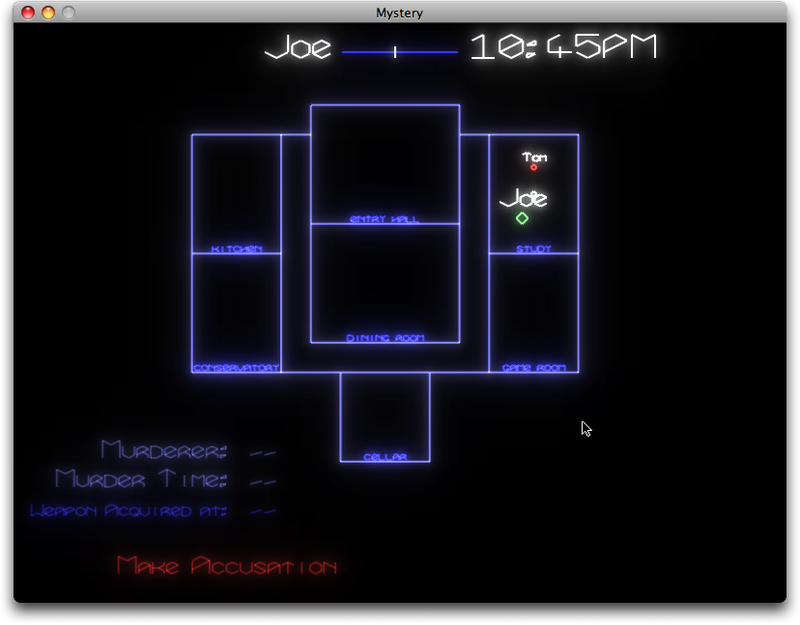 Figure out whodunnit and when, and when the fiend acquired the murder weapon. 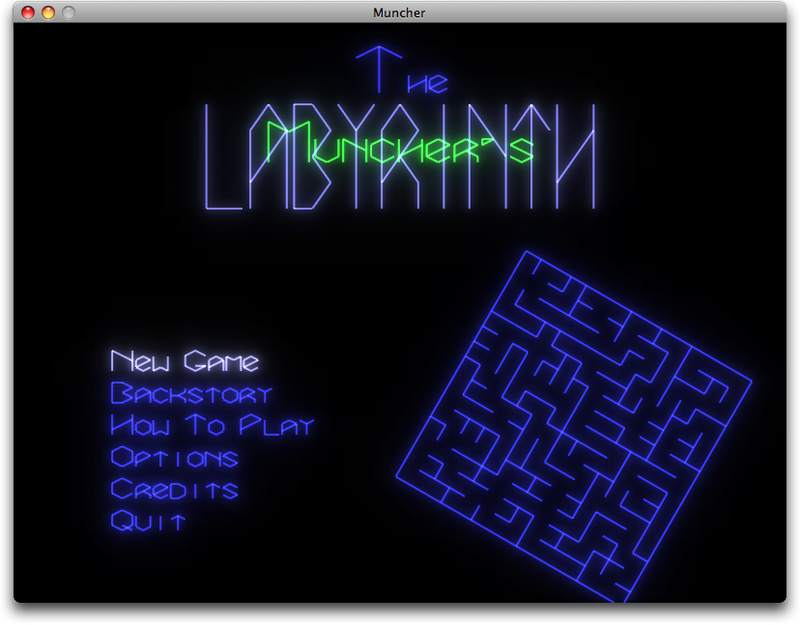 Like all VectorStorm games, Nicholas Spratt attempts to use a gamepad if you have one connected, but for this game, I highly recommend using the keyboard. Arrow keys and the space bar, to perform all functions. 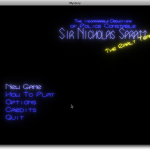 Sir Nicholas Spratt uses OpenGL, SDL, SDL_Mixer, and GLEW.